2018 marked the 5th consecutive year of sales growth for Lexus Europe. In only five years, Lexus sales have increased by 76% in Europe (including Eastern markets*) to reach 76,188 units in 2018 (+2% vs 2017). Lexus’ flagship models, the LS and LC, achieved outstanding results in 2018. The new generation LS, launched in December 2017, saw sales increase by 552% in 2018 to reach 1,075 units, while sales of the luxury coupe LC climbed 17% to reach 689 units. Lexus’ mid-size SUV, the NX, was again the brand’s best seller in Europe with 29,508 units (+6% vs. 2017), following the introduction of the renewed model in late 2017. The RX large SUV came second with 18,847 units (=), prolonging the success story of this model’s latest generation launched in 2015 and expanded with the new RX L seven-seater in 2018. Supported by a product refresh introduced in late 2017, the CT compact hatchback also achieved a strong performance in 2018, with a sales increase of 3% to reach 9,131 units. With a record 45,675 self-charging hybrid vehicles sold in Europe in 2018, Lexus continues to lead the electrification trend in the premium market. Self-charging hybrids represent 95% of Lexus sales in Western and Central Europe. 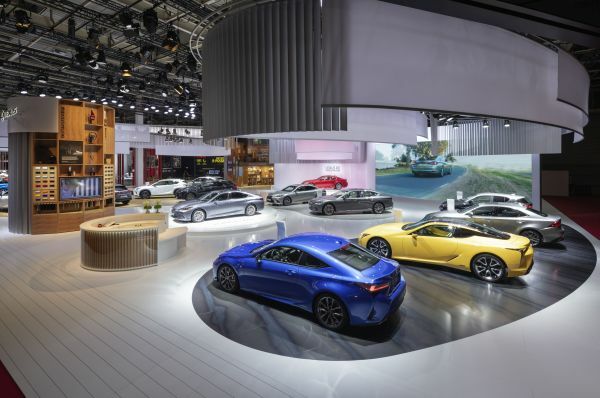 “With the introduction of two new core models, the Lexus ES business sedan and the UX compact crossover, 2019 promises to be another growth year for Lexus in Europe, on our way to meet our goal of selling 100,000 Lexus vehicles in Europe by 2020”, said Pascal Ruch, Head of Lexus Europe.